We look forward to supporting you in Russia. HDS Russia is the third foreign office following Austria and India in the HDS Group of Companies. The company focuses on distribution of goods within Russia and developing a pool of secure carriers certified by HDS. HDS Russia analyses both the export and import processes for Russia/CIS traffic taking into account the existing flow of good and service levels. The aim is to optimize processes and reduce logistics costs. HDS Secure Logistics System provides reliability including a telematics solution to the supply chain. HDS Russia examines the logistics of existing supply contracts to Russia/CIS and provides support in negotiating agreements. HDS Russia draws up action recommendations to simplify processes. Legal regulations are clarified for correct customs investigations, appropriate delivery conditions are recommended and the monetary effects are simulated. HDS Russia examines the flow of goods for correct import customs clearance in Russia/CIS. Constant changes of customs tariff numbers in the Russian customs code can lead to unnecessary waiting charges and costs during clearance. These often also lead to high unexpected additional payments in retrospect. HDS Russia assesses import risks and provides recommendations relating to justified waiting charges, customs clearance fees and costs incurred by the brokers. HDS Russia creates a benchmark of all logistics cost with current market prices, analyses the logistics structures and determines weak points in the processes taking the existing service levels into account. 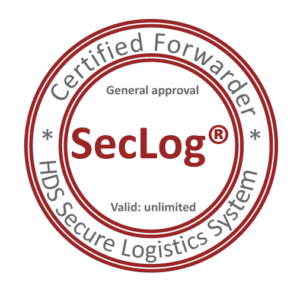 The HDS Secure Logistics System (SecLog®) not only reduces costs for transport within Russia/CIS, but also ensures reliability and transparency in the supply chain.